Impressionist, actress, comedienne and writer becoming a household name in the BAFTA winning Big Impression. 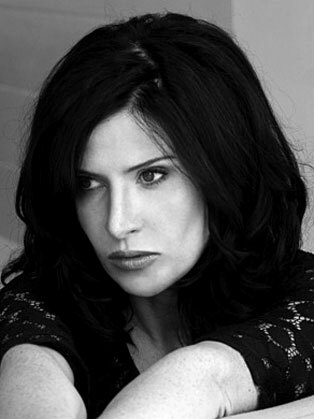 Born in Scotland, Ronni Ancona is a British Comedy Award Winning impressionist and comedienne. She is an entertaining and charismatic performer be it after dinner or stand up to hosting corporate awards. Ronni Ancona is an actress, impressionist, comedienne and writer. She is also a trained designer and qualified teacher. Her comedy career started on the comedy circuit and she won the Time Out Hackney Empire New Act of the Year in 1993. She worked extensively in radio and television before becoming a household name in the BAFTA-winning Big Impression for which she won a British Comedy Award and Variety Club Award. Her other TV credits included Fist of Fun and The Sketch Show. Since then Ronni has worked in film, television and theatre. She has also been interviewed by Jonathan Ross, Patrick Kielty, Johnny Vaughan, Richard & Judy, Lorraine Kelly and Michael Parkinson. Ronni has made regular appearances as a panellist on QI (BBC) and has hosted Have I Got News For You (BBC). In 2009 she published her first book for Faber & Faber, A Matter of Life And Death: How To Wean A Man Off Football. In 2011, Ronni completed The BT Red Nose Desert Trek through Kenya for Comic Relief. She has also starred in Skins, Hope Springs, Last Tango In Halifax, and the film Penelope.